Have you ever had, or heard of, a dental emergency? The most common dental emergencies include having a tooth knocked out, cracking a tooth, biting down too hard on your tongue or cheek, or severe toothaches from infections or cavities. Whether you sustain a blow to the face/mouth or have been ignoring a toothache for some time and it has finally become unbearable, can a dental emergency cause enough pain to send you to the ER? 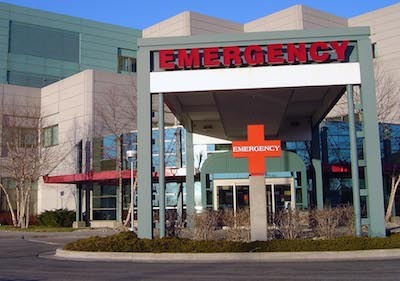 The answer to this question is yes, a dental emergency can cause an ER trip. In fact, 10% of all ER trips come as a result of a dental emergency or dental pain. Of the 10% of ER trips related to dental pain, 80% of those could have been avoided by maintaining routine appointments with your dentist. If you do have a dental emergency, you should contact your dentist’s office ASAP. Even if it is after hours, your dentist will likely have an emergency phone number you can contact. Going to the emergency room should be a last resort when it comes to dental pain. The reason for this is that most emergency rooms are not equipped with proper dental equipment of a dentist to treat your afflictions properly. If you go to the ER and don’t follow up with your dentist about your dental emergency, chances are that you will end up back in the ER for your pain. If you keep doing this, the expenses are going to add up! Remember: the vast majority of dental emergencies can be completely avoided by maintaining your routine visits to your dentist. Tooth decay often leads to infection, discomfort, and an eventual trip to the ER. However, tooth decay is almost completely avoidable through good hygiene care at home and your dental appointments. Are you in need of a dentist to avoid a dental emergency? If you are in the Sidney, OH area and need to visit a dentist, feel free to schedule a visit today! Dr. Van Treese and his team are always welcoming new patients to their office who are serious about maintaining good dental health!